It starts with a presentation from MAN Truck and Bus – Overall Winner of the Supply Chain Excellence Awards 2016. MAN created a supply chain concept called ‘plan@parts” that harnesses “big data” and calculating supply by a holistic view of the supply chain. Christian Seemann, MAN’s vice president supply chain management parts, will discuss how it has employed these innovative and creative strategies to ensure the supply chain is both effective and achievable. And the second day of the conference will open with a presentation from the 2016 Team of the Year. 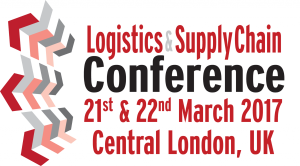 Dave Howorth, supply chain director, General Mills Northern Europe, will explain how the company developed port centric approach to logistics building a strong collaborative partnership with Culina and Peel Ports. Thames Water took the Award for Customer Service and Support. The company handles more than 15 million customer interactions a year. Theresa Gardiner, project manager – logistics & inventory, and Peter Leeman, senior commercial manager, will talk about the approach it has adopted and the benefits that have been achieved. Nelsons, the a manufacturer of natural healthcare products, was highly commended in the Supply Chain Strategy and Design category. Paul Metherell, supply planning manager, will explain how it has strengthened its end-to-end supply chain to enable it to achieve significant growth internationally.